Brioche is considered a Viennoiserie. It is made in the same basic way as bread, but has the richer aspect of a pastry because of the extra addition of eggs, butter, liquid (milk, water, cream, and, sometimes, brandy) and occasionally a bit of sugar. The dough needs to rise overnight, so plan accordingly. Mix dough again to combine. Add 8 whole eggs, and continue to mix until dough is smooth and does not stick to sides of bowl, about 5 minutes. Mix in remaining eggs. Add butter, 1 tablespoon at a time, mixing until incorporated. Continue mixing until dough is smooth and comes together in a ball around the dough hook, about 5 minutes more. Coat a large bowl with canola oil. Transfer dough to bowl, and cover with plastic. Let stand in a warm place until doubled in volume, about 1 1/2 hours. Preheat oven to 425, turn out dough onto a lightly floured surface, and punch down. 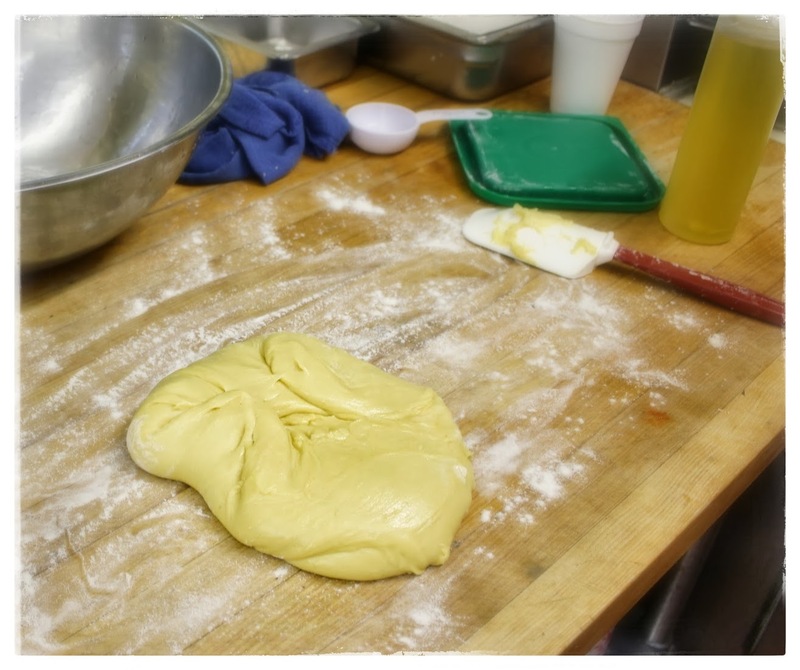 Working in batches (refrigerate remaining dough as you work), evenly divide dough into 1 ounce pieces. Punch down each piece using the palm of your hand, and press each into a tight ball using the heel of your hand. Butter desired molds and place dough inside. Loosely cover pans with plastic; let stand in a warm place until dough balls are soft and springy to the touch, about 30 minutes. Lightly brush tops with egg wash. Bake for 10 minutes. Reduce heat to 350 degrees, and continue to bake until tops are dark and golden brown. 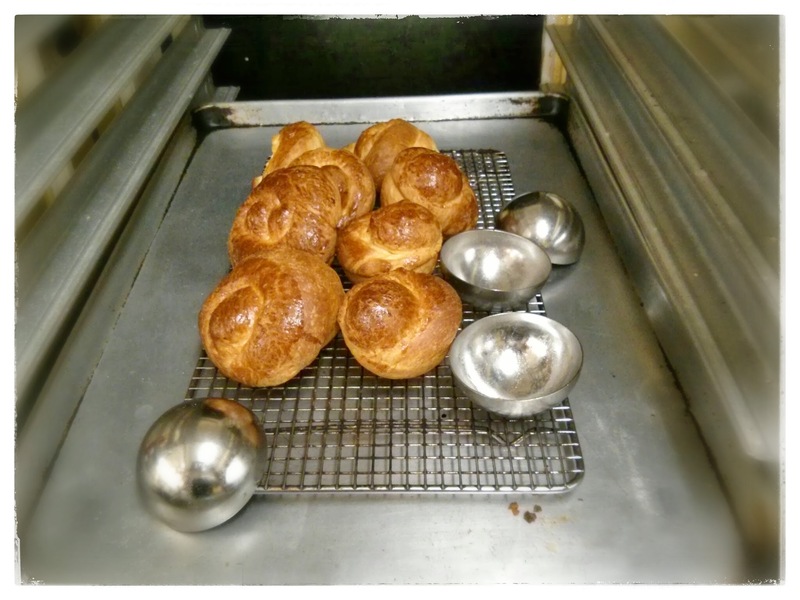 Remove from oven, immediately remove from molds and cool on wire rack.